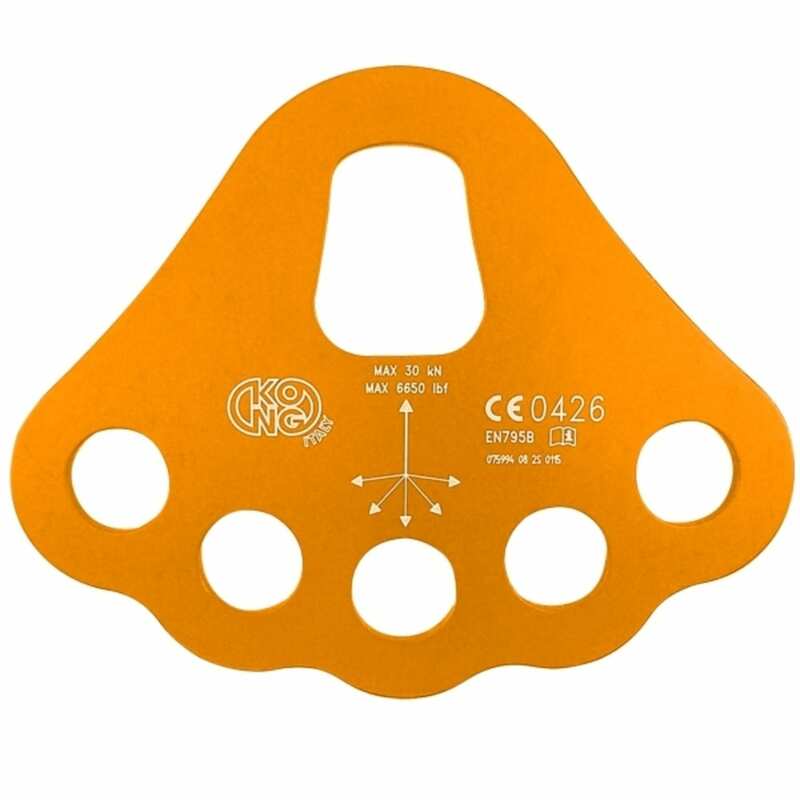 Rigging plater with 5 holes, 20mm diameter, designed to organize a tidy workplace and to create an easy system of multiple anchor points. The upper hole allows to fit two carabiners at the same time. Made of light aluminum alloy, very light, compact and durable. Certified CE EN 795 B High quality product. Recommended for Sport Activities Mountaineering, Caving, Cannoning Professional Work activities Roof and inclined planes, Rope Access, Cableway evacuation; Professional Rescue activities Mountain rescue, Fire brigades and civil protection.